The word “binding” means to secure or hold together. 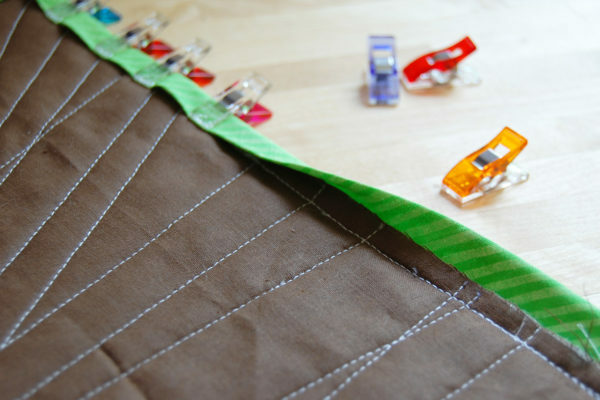 Binding the raw edges of a sewing project with bias strips of fabric is a good way to cover the edge and add a durable finish. 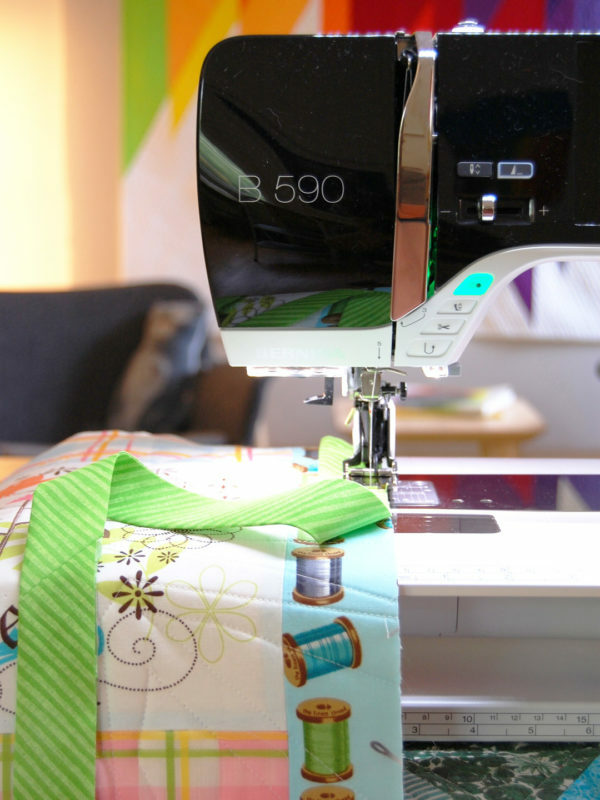 Let’s take a look at the most popular ways to finish sewing projects with binding 3 ways! Before we move on, you might be asking what exactly bias means. 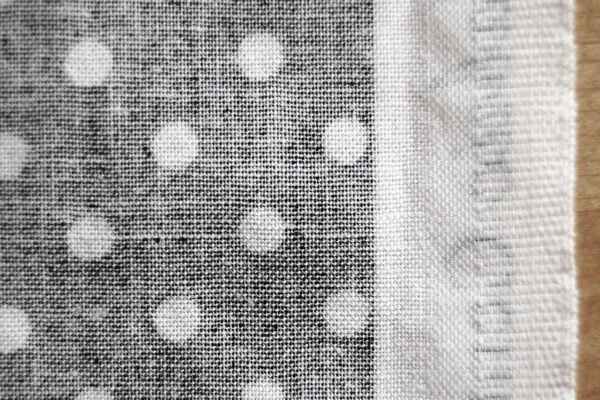 Woven fabrics are made with threads running in two directions, warp threads running the full length of the fabric, and weft threads running the width of the fabric. 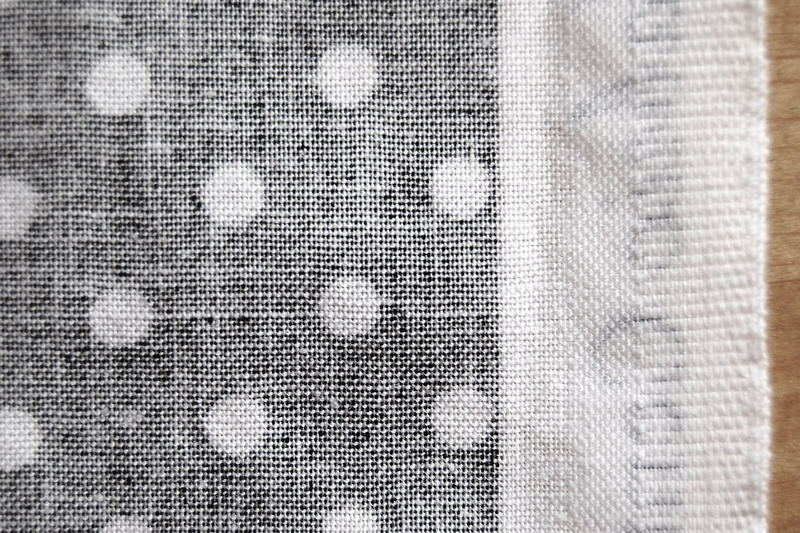 The bias direction of a woven fabric runs 45 degrees between lengthwise and crosswise grain. 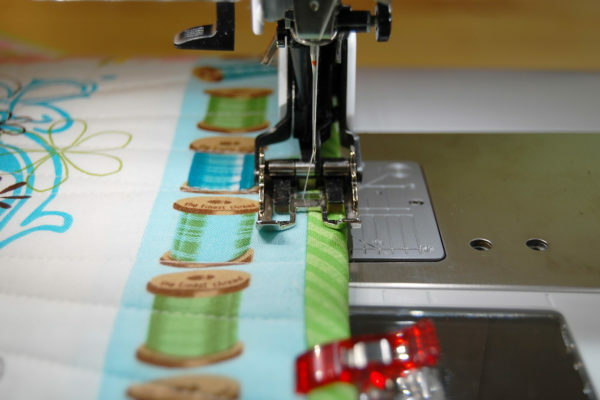 If you gently stretch a woven fabric along the bias direction you will notice more stretch and elasticity in the fabric than when trying to stretch along the lengthwise or crosswise grains. 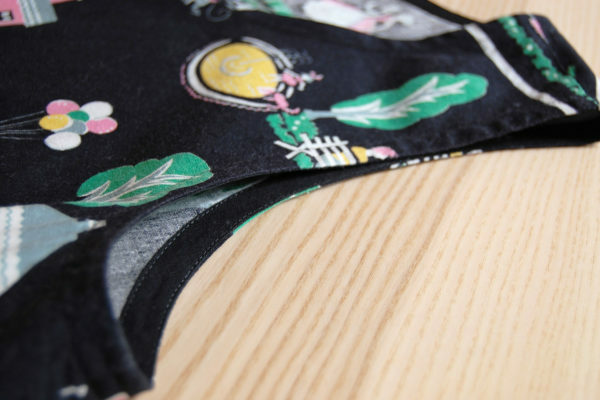 Using bias cut strips for binding fabric edges not only allows for more flexibility when binding curves or odd shapes, but creates a stronger finish to the edge than using straight grain binding. 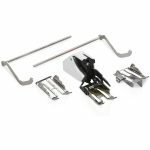 This is the most popular method to finish raw edges with binding, and can be used in many different ways. 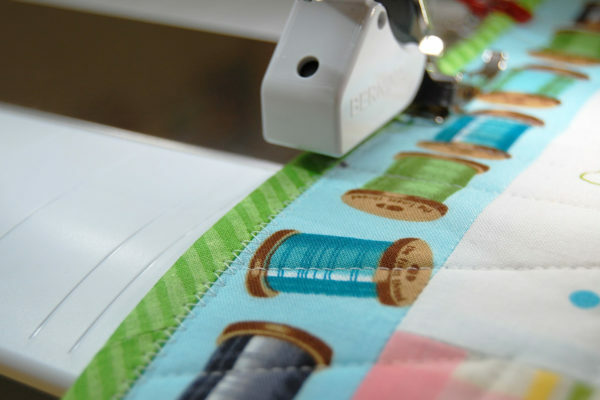 Let’s look at the basic steps to attach double fold bias binding to any project. For an in-depth tutorial check out Faith Jones’ post on creating double fold bias binding here at WeAllSew. You can make your own double fold bias binding by following the cutting and sewing instructions from Annie Smith in her binding tip post here. To bind this kennel quilt I am using a bias strip cut 2 1/2″ wide and pressed in half. 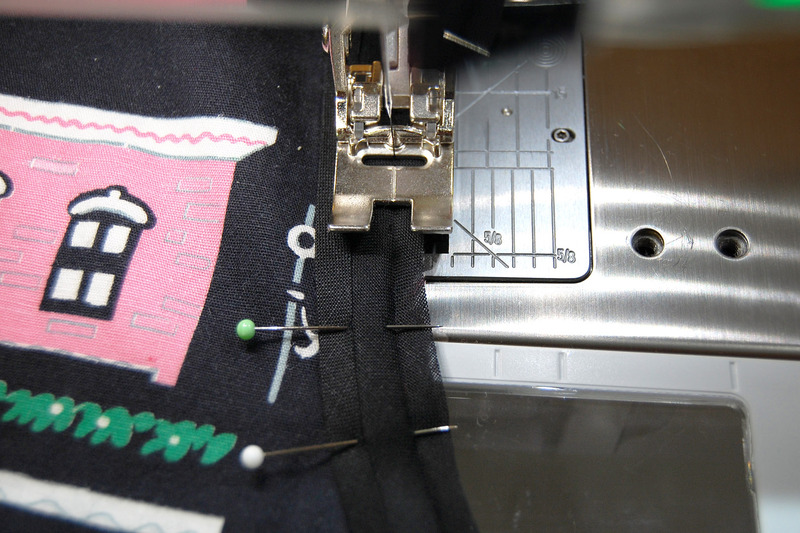 I use the Walking foot #50 to keep the multiple layers from shifting when sewing bias binding. Match raw edges of the binding to the raw edge of your project and secure with a straight stitch (for this binding I am sewing with a 1/4″ seam allowance). To create perfectly folded and mitered corners I follow the instructions in the Mitered Corner Tutorial here at WeAllSew. 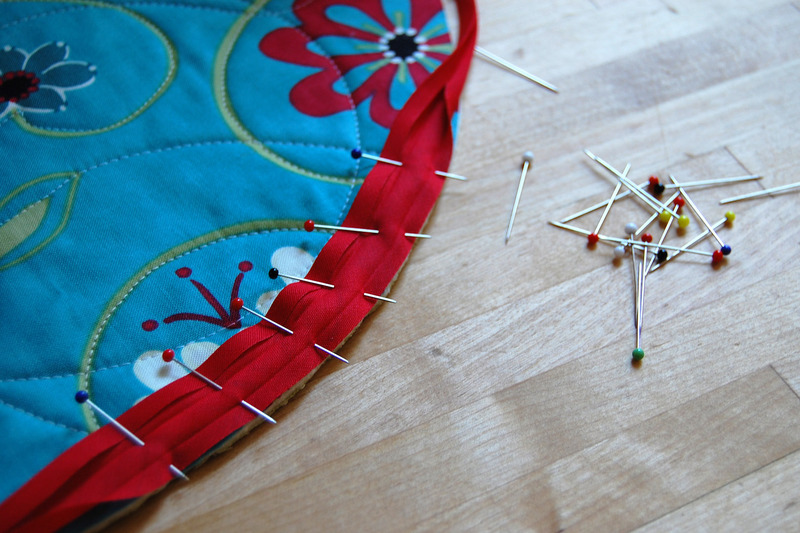 After stitching the binding to the front of the project, flip it to the back side and secure with pins or clips. 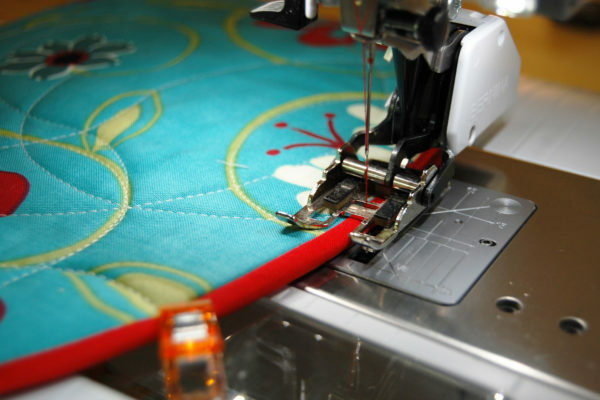 The binding should completely cover your first line of stitching from securing the binding to the front. 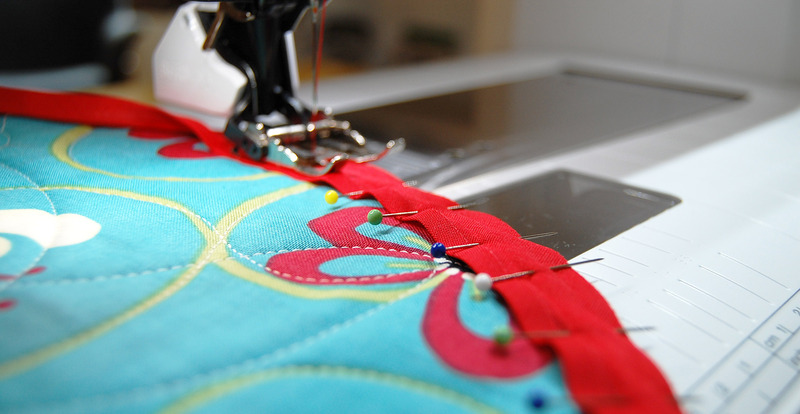 There are many ways to finish sewing on the binding once it’s folded to the back. 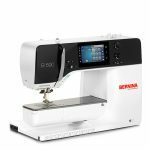 You can hand-sew for a virtually invisible finish, or you can use this method to machine stitch the binding with a straight stitch. 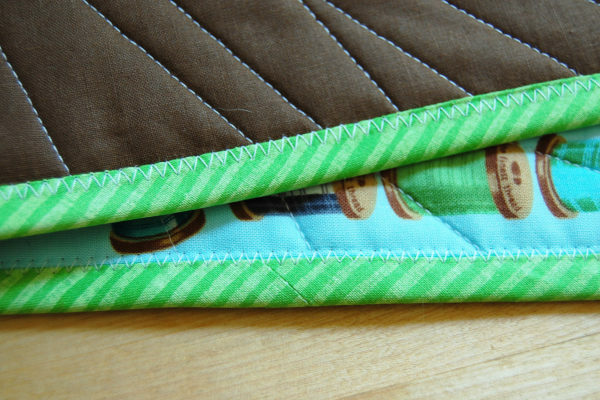 Since this kennel quilt will get lots of use, I’m choosing to finish the edge with a zigzag stitch. 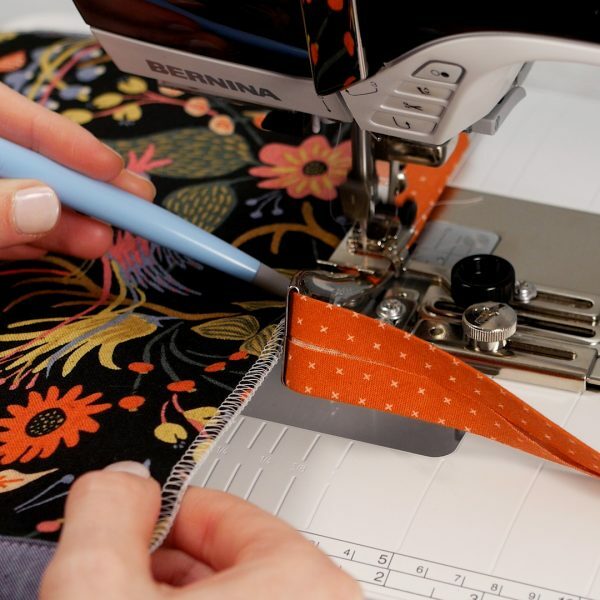 For the zigzag method, select the default zigzag stitch and center the foot over the ditch created with the binding seam on top of the project. 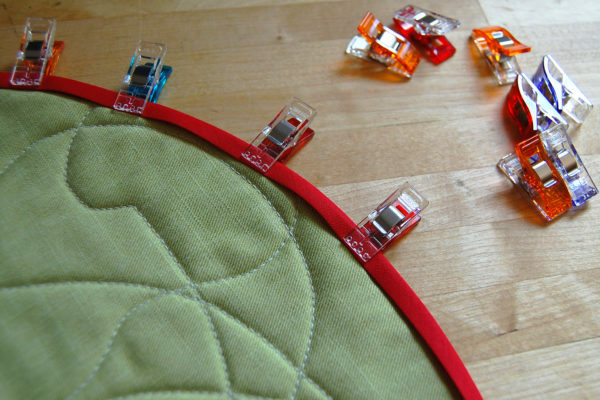 This method secures the binding front and back with a sturdy zigzag stitch. 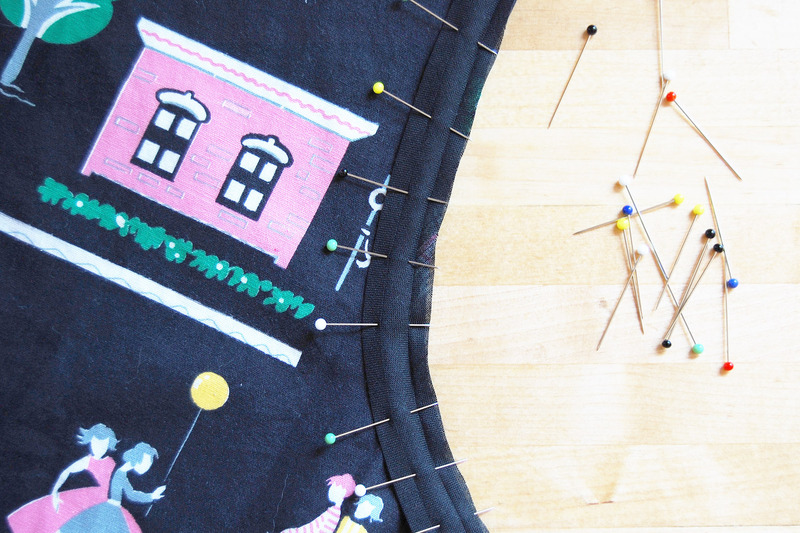 There are many more ways to use this method with projects other than quilts, here are just a few. The double fold binding method can also be used to finish crafts like Penny Layman’s fun zipper pouches! Erica Bunker demonstrates how you can use this method with a twist for adding a professional look to neck or arm facings in her Bias Facing tutorial. 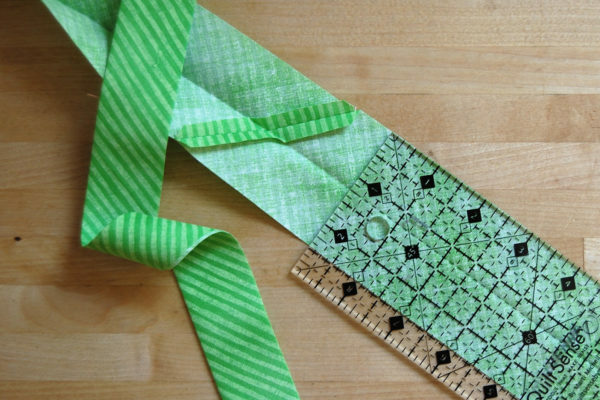 The possibilities of binding with this method are endless! Single fold bias tape is made from bias cut strips with the two outer edges pressed over or folded once. You can purchase pre-made single fold bias tape, or you can create strips yourself. 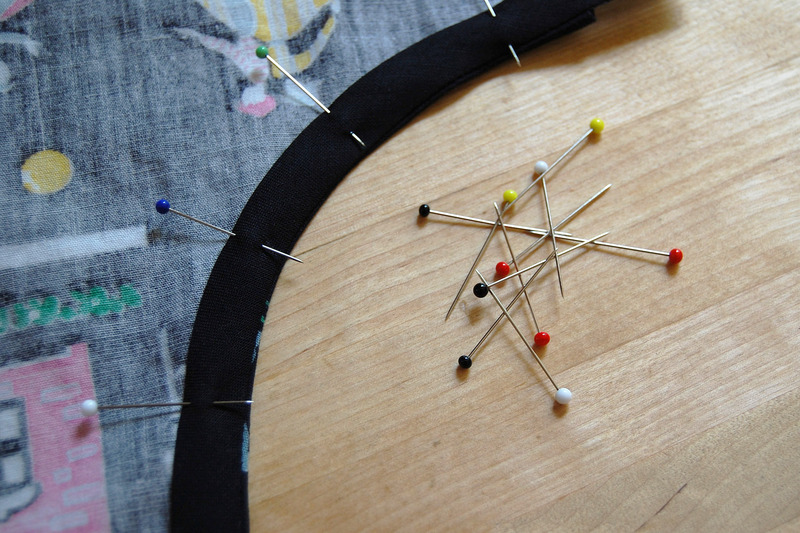 Use single fold bias tape to create a clean finish to necklines and arm holes in garments. Let’s take a look at the basic method for attaching single fold below. To create a clean looking edge finish that you don’t see from the front of the project, begin by opening one side of the single fold bias tape and pin to the right side of the project, raw edges together. 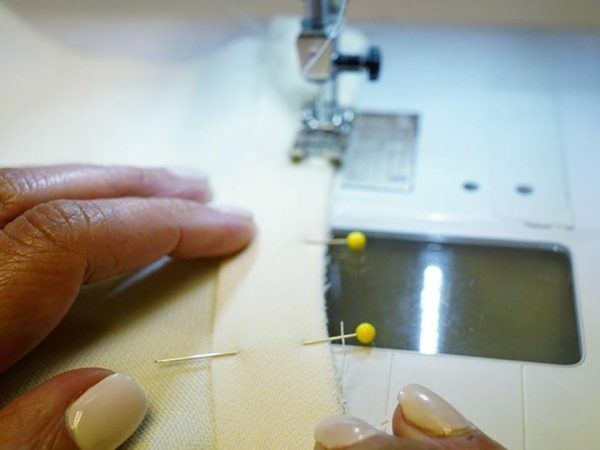 In these photos the single fold bias tape is being attached to an armhole, and the bias cut of the tape helps allow for sewing around the curves. Stitch right along the fold line of the binding. 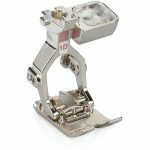 I use the Reverse pattern foot #1D with Dual Feed engaged to prevent the bias tape from shifting while sewing. 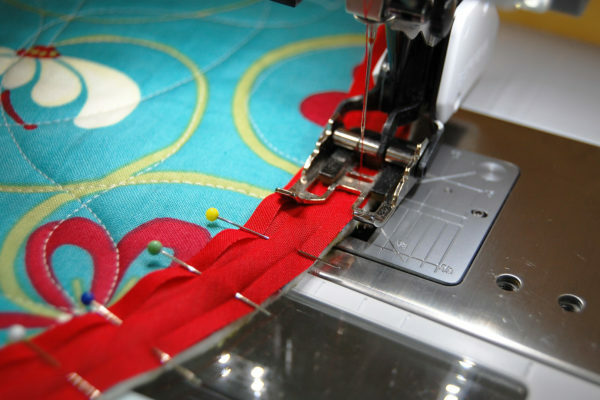 Fold the stitched edge over to the wrong side of the project and press. Pin the folded over edge to the project. Top stitch along the folded edge of the bias binding using thread that closely matches your project. 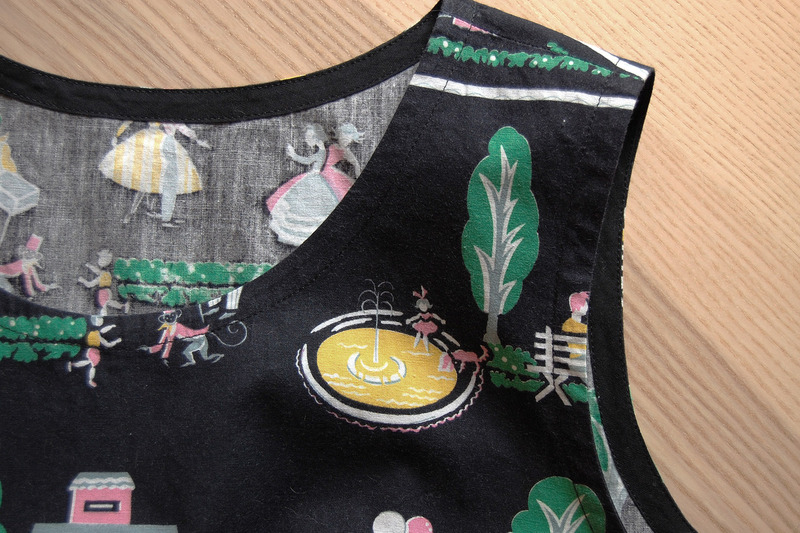 The result is a clean finish to edges that you don’t notice from the right side of the garment or project. Or use a contrasting color single fold bias tape to add a fun touch to your project! In this application the bias tape was first sewn to the wrong side of the garment, then flipped over to the right side and top-stitched with matching thread. Double fold bias tape is folded twice; the outer edges are folded in once just like the single fold bias tape, then the strip is folded in half. 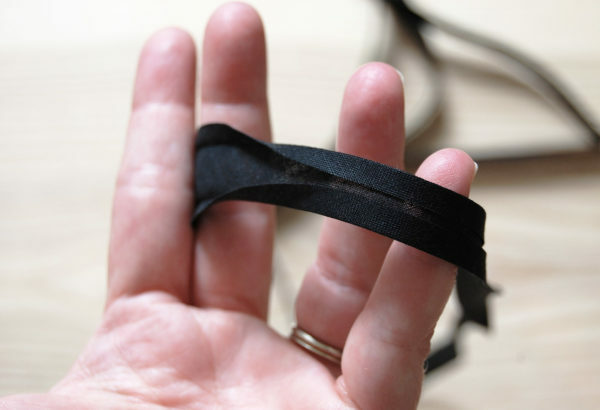 You can purchase double fold bias tape pre-made or create your own. 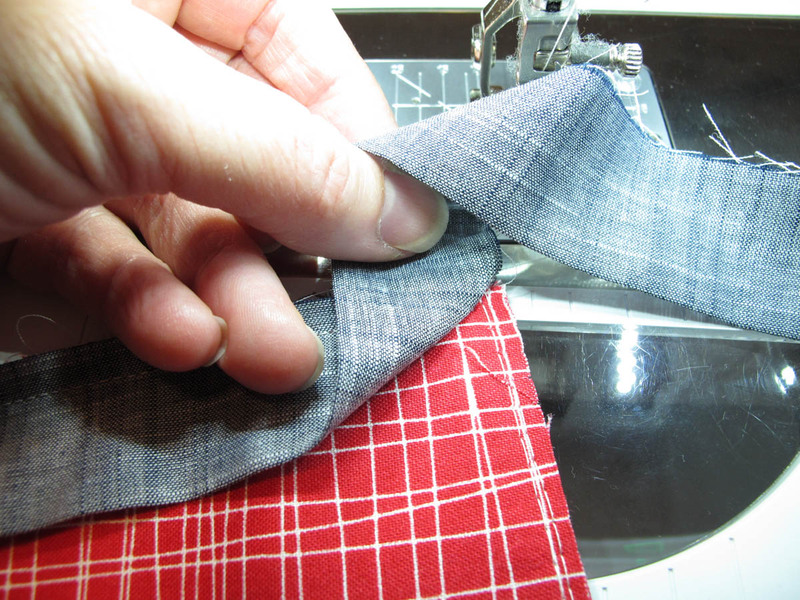 Use double fold bias tape to create a clean finish when you will see the bias edge from both sides of the project. Let’s take a look at the basics for attaching double fold bias tape. Unfold one side of the double fold tape and pin the raw edge of the tape to the raw edge of your project. 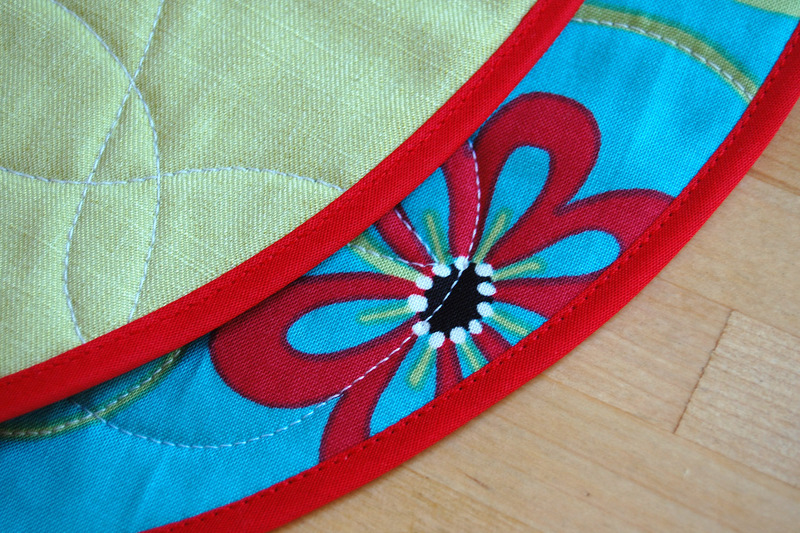 In this example the double fold bias tape is finishing the edge of a simple circular placemat. 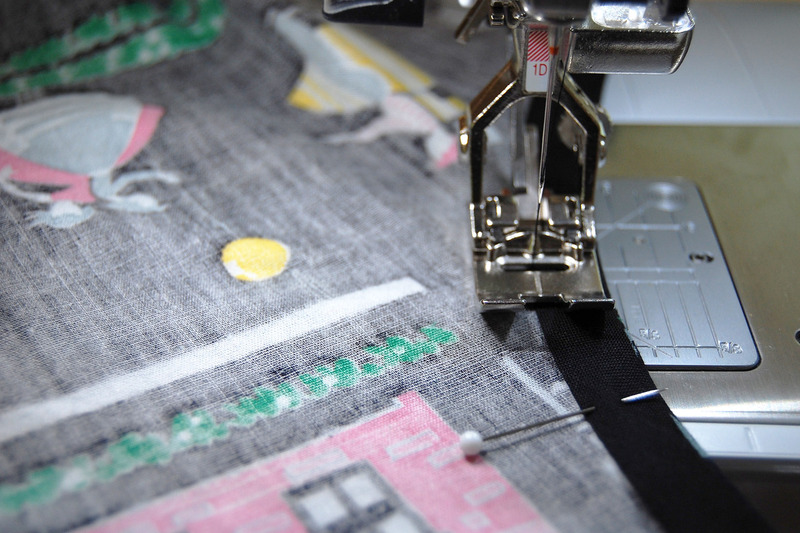 Use the Walking foot #50 or “D” foot with Dual Feed to keep the layers from shifting while stitching the bias tape. Stitch in the first fold all along the tape using a thread color to match the binding. 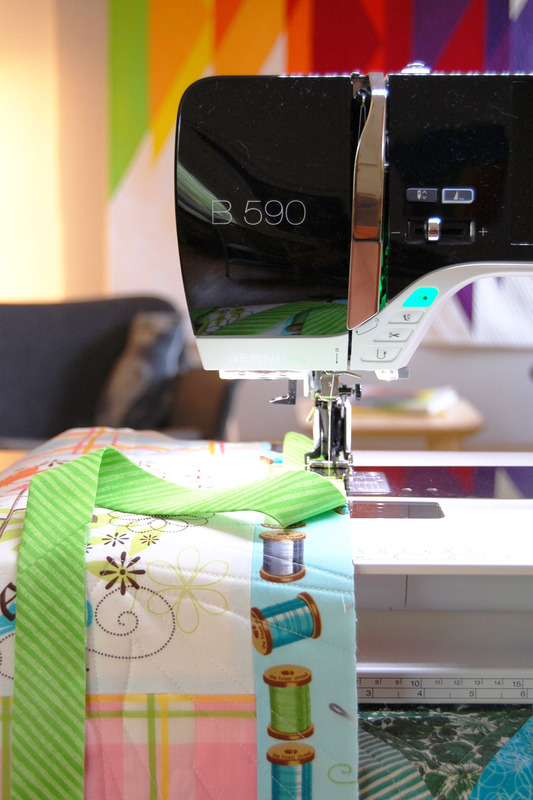 Fold the bias tape to the back of the project, making sure that the folded edge covers the stitching from securing the tape to the project. Top stitch close to the folded over edge of the bias tape on the other side of the project. This creates a clean, finished look to both sides of the project. Did you can also attach double fold bias binding by machine using the Binder attachment? 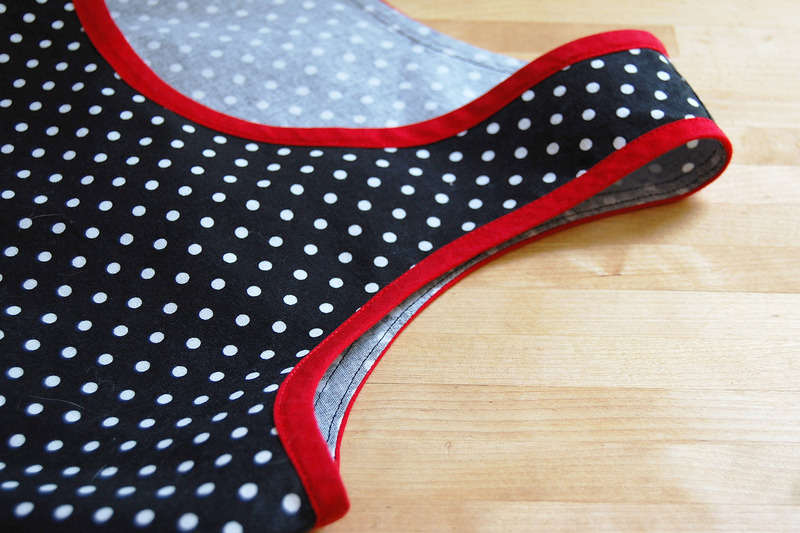 Check out this method with the Binder attachment #87 in this tutorial here at WeAllSew. 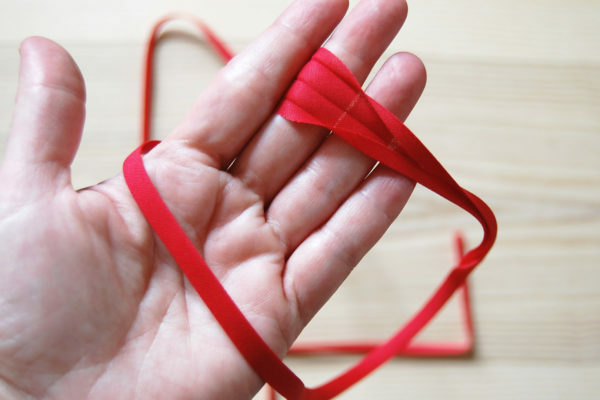 Great suggestions for many ways to bind! 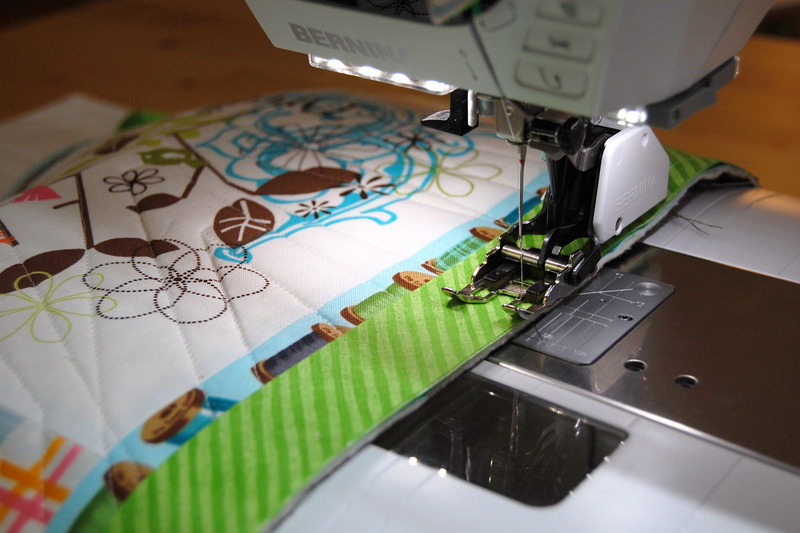 One of the easiest and most economical that I recently used is using the Quilt backing as the binding. Comes out very neat. But of course only useful on straight gran projects. Very helpful. We can always learn something new every day. I’ve always stitched my bindings first on the BACK side and then topstitched on the front. That way if your stitching isn’t perfect, it doesn’t show. I’ve always had a heck of a time trying to “catch” that first stitching to make it perfect on both sides.